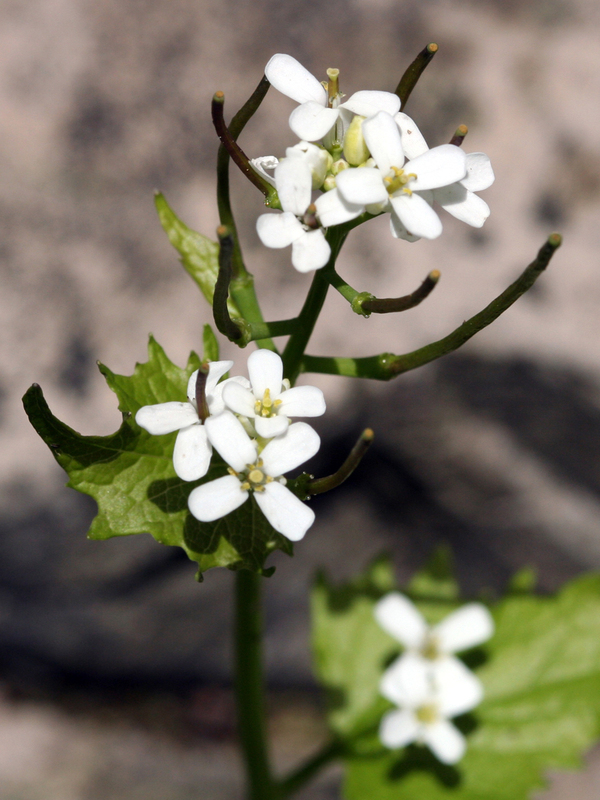 Garlic mustard (Alliaria petiolata), May 2007. 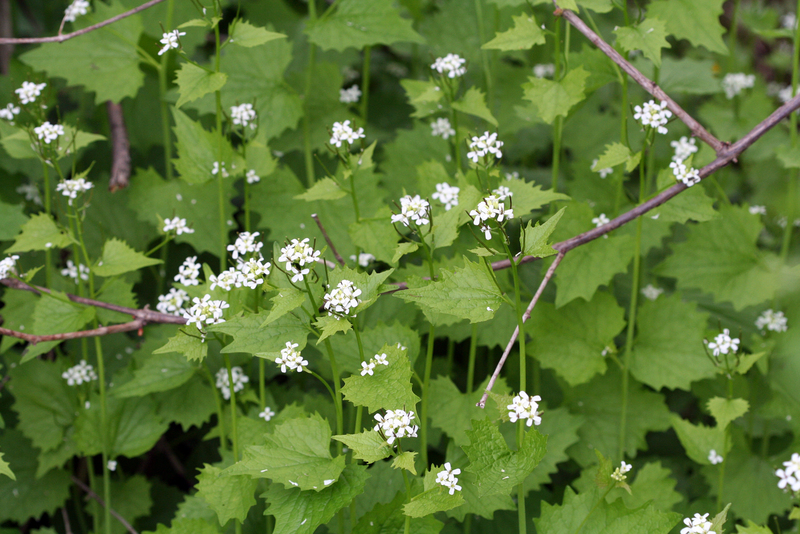 Garlic mustard (Alliaria petiolata), a biennial herb from Eurasia, is considered to be one of the most invasive plants in forested areas of the Northeast and Midwest. It is quite common in this region and in the conservation area itself. 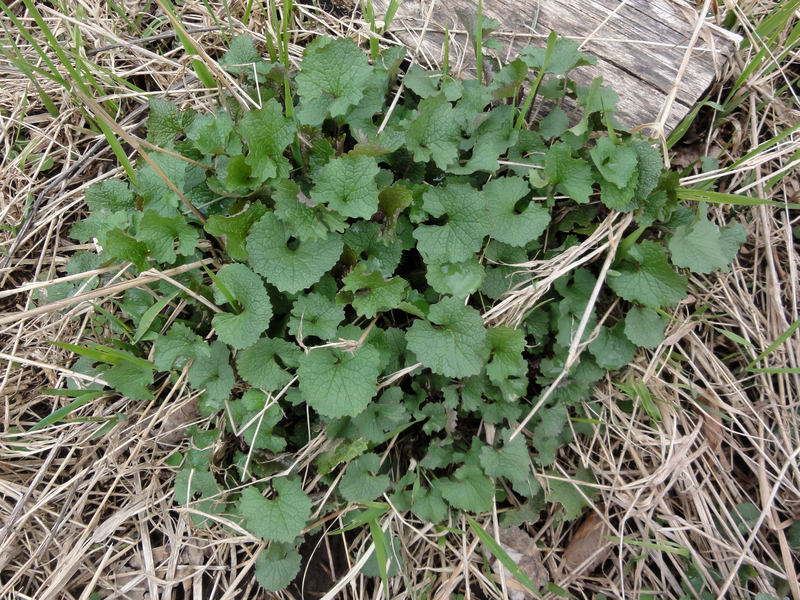 However, perhaps because of the abundance of larger invasive plants or the stages of succession that our wooded areas are in, garlic mustard appears to be causing less of a problem than many of the other invasive plants at the conservation area. This will likely change as the area matures or more obvious invasive plants are removed. Bernd Blossey, Victoria A. Nuzzo, Hariet L. Hinz and Esther Gerber in Driesche, F.V. ; Blossey, B.; Hoodle, M.; Lyon, S.; Reardon, R. Biological Control of Invasive Plants in the Eastern United States. United States Department of Agriculture Forest Service. Forest Health Technology Enterprise Team. Morgantown, West Virginia. FHTET-2002-04. August 2002. 413 p.
Basal rosette of a first-year garlic mustard plant by the boardwalk crossing the bog on Gully Road, April 2011.